After looking back through my adventures, I’ve found a few myths I think I busted about Saskatchewan this summer. 1. That only Saskatchewan people enjoy Saskatchewan. Saskatchewan skeptics are out there, let me tell you - but there’s a healthy chunk of the world that views the Sask as a place more exotic than Timbuktu. That’s a fascination stoked by more than just small town events - just check out Robert Reid’s top 10 in Regina. As a Lonely Planet travel guide editor, he’s been across the world, but the mix of history, sports, and the RCMP depot kept him engaged and wanting more. Oh, and he visited the Regina Liver Lovers Luncheon Club - that’s something I didn’t even know happened, and I’ve lived my whole life five blocks from it. 2. That Saskatchewan is flat, empty prairie (or: that you can see your dog running for days). It’s an oft-repeated fact that the trees in Regina weren’t there when it was first settled - but the trees in Saskatchewan’s north most definitely were. 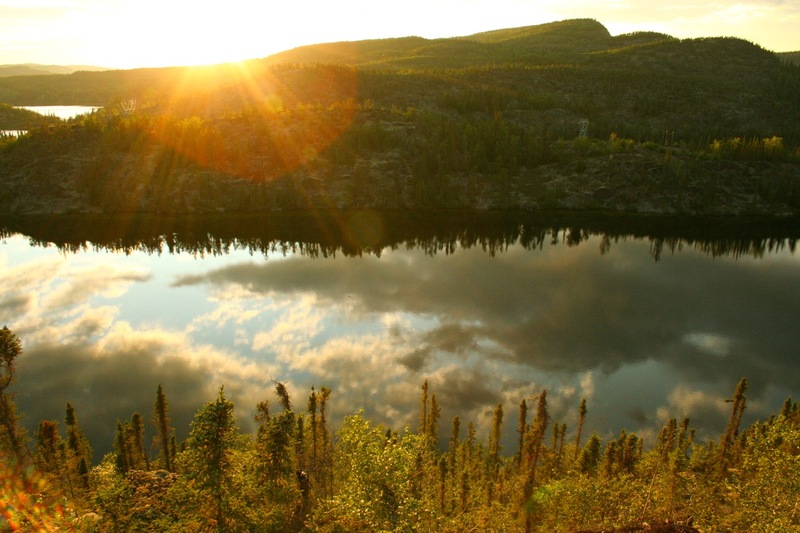 Most of our lakes and forest appear north of Prince Albert, and the landscape gets more unbelievable the further north you get. I can tell you with certainty that there are places in Saskatchewan where not a single sheaf of wheat can be seen for miles. The thing is: Saskatchewan rewards the adventurous. You won’t be disappointed when you get off the beaten track - so get off the #1 highway! Seriously, did you know that Cypress Hills is twenty minutes from the Trans-Canada? It’s a forest oasis in a field of wheat, and that’s what you’ll find everywhere if you take a risk and really treat Saskatchewan as a destination in itself. 3. That there’s barely anything happening in Saskatchewan (or: that all we have is Rider games). Saskatchewan seems synonymous, for lots of Canadians, with green and white - but I like to think that I showed what else is happening in our fair province. From the rocky terrain of Uranium City, to our countless music festivals (including the Saskatchewan Jazz Fest), to the oft-unheard history of the province’s south, Saskatchewan’s true nature is just now being uncovered. 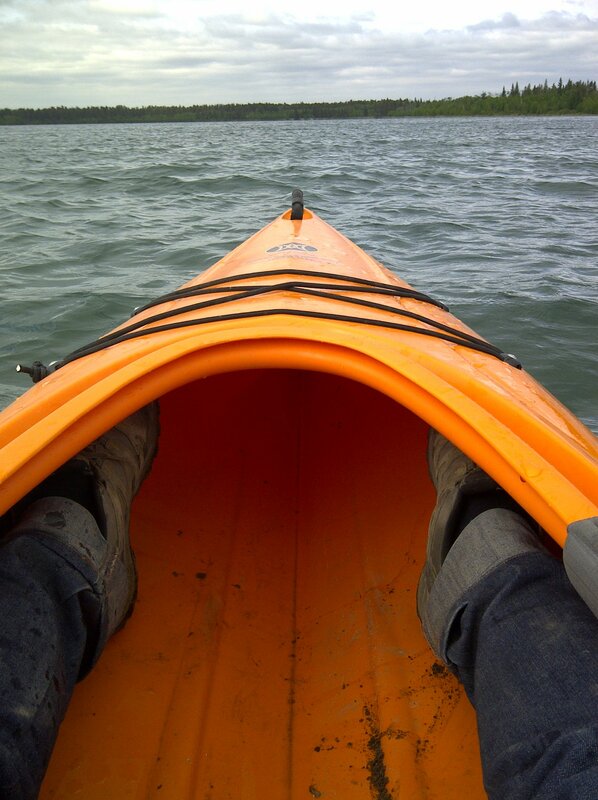 Is it bad to text and kayak at the same time? 4. That Saskatchewan is dry, arid, otherwise waterless. I saw no shortage of sand dunes this summer - but there was no shortage of lakes either. I wakeboarded and wakesurfed at Blackstrap Provincial Park, and there’s kiteboarding and paddleboarding going on at Emma Lake. The one thing I didn’t get to do was fish - but I’m betting the fish are happy about that one. 5. That no one would ever read a blog about SK. I’ll take my 173,000 page views to be evidence against that - but what do you think? Have you found something you cared about this summer? As always, comment here, on Facebook, or on Twitter.